A Moncton musician and writer is hoping his website is named the best independent Canadian music website. Ken Kelley, drummer in longtime Moncton rockers The Monoxides, freelance writer for the Times & Transcript and Chart Attack and a music reviewer for Here magazine, operates a website, The Musicnerd Chronicles where he gathers all his stories and reviews in one place and writes original music stories, interviewing bands from around the world. The site was launched in 2009. Recently, Ken was told about a contest CBC Radio 3 is operating, where it is seeking fan votes to determine the best Canadian independent music website. A friend suggested Ken nominate his site for consideration. He began asking friends and colleagues to vote for Musicnerd, plugging the contest on his website and social networking sites, all the while telling folks he didn’t expect to get very far. 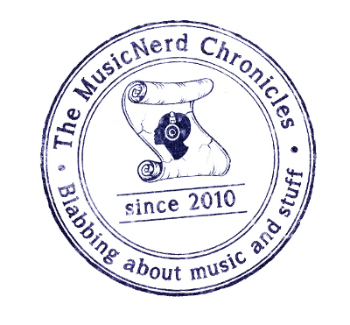 Musicnerd made it to the Top 50 sites, then the Top 30 and, just last week, the Top 10. Supporters can vote for Musicnerd or any of the other Top 10 sites by going to http://radio3.cbc.ca/ and clicking on the Searchlight banner. You can vote once per day. Voting continues until 4 a.m. Thursday morning. Ken says the big prizes are bragging rights as well as an award to be presented at the North-By-Northeast Music Festival, taking place June 13-19 in Toronto. Other sites in the Top 10 include The Can Con, Midnight Poutine, Ca Va Cool, Coke Machine Glow, Southern Souls, Swim Drink Fish Music, Weird Canada, Broken Speaker and Thorny Bleeder Records. Searchlight is a yearly contest that seeks out the best of what Canada has to offer musically. One Response to "T&T writer’s website hits national contest’s Top 10"